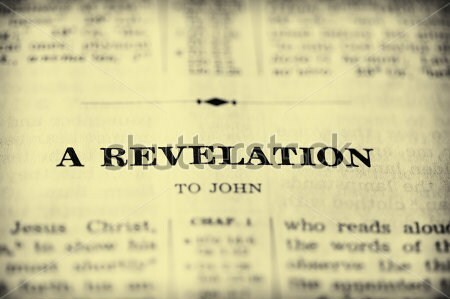 Today, I am going to be going through Revelation Chapter 4. Let’s start with Revelation chapter 4:1, and this verse states: After this I looked, and, behold, a door was opened in heaven: and the first voice which I heard was as it were of a trumpet talking with me; which said, Come up hither, and I will shew thee things which must be hereafter. Now, a lot of people believe that this is the verse that is speaking about the rapture. Specifically the part of the verse that states: …come up hither… The person speaking in this verse of course is John, and the person saying come up hither my belief starts here → is an angel and this I understand and believe this because in Revelation 1:1-2 it states: 1 The Revelation of Jesus Christ, which God gave unto him, to shew unto his servants things which must shortly come to pass; and he sent and signified it by his angel unto his servant John: 2 Who bare record of the word of God, and of the testimony of Jesus Christ, and of all things that he saw ← my belief stops here. So, if in fact it was an angel speaking directly to John, how can some Christians believe that this verse is speaking to the body of Christ? Also, if you look at what Revelation 11:12 states: And they heard a great voice from heaven saying unto them, Come up hither. And they ascended up to heaven in a cloud; and their enemies beheld them. This verse is speaking about the two witnesses. Does the phrase come up hither imply a rapture here again? I think not. This verse is only speaking to the two witnesses as Revelation 4:1 was speaking only to John. The next interesting verse is Revelation 4:4 which states: And round about the throne were four and twenty seats: and upon the seats I saw four and twenty elders sitting, clothed in white raiment; and they had on their heads crowns of gold. The question is usually asked who are these 24 elders? My belief starts here → I personally believe that twelve of the elders are the heads of the twelve tribes of Israel. The other twelve elders are the 12 disciples of Jesus Christ. In all honesty I don’t believe that it really matters nor does it change the testimony of Jesus Christ. It is not imperative to our salvation that we know who the twenty-four elders are. It’s something that we Christians can think about, and have a discussions about. I may be right, or I may be wrong. In the grand scheme of things this little tidbit does not weigh much. The only thing we know for sure is that there are twenty-four elders in heaven. The other key idea that we need to keep in our minds is that John is seeing a vision of what is happening, and he is describing what he is seeing in those visions. We know that John is seeing a vision because in Revelation 4:2 John states: And immediately I was in the spirit: and, behold, a throne was set in heaven, and one sat on the throne. The church of Thyatira. In Rev. 2:19 it states – I know thy works, and charity, and service, and faith, and thy patience, and thy works; and the last to be more than the first. Jesus said that He likes these things. How many Christians do you know that are described by the words in Revelation 2:19? I can think of quite a few Christians I know of that fit this description quite well. There were things that Jesus did not like about the church of Thyatira, and you can read more about that here. My belief starts here → Just as the church of Thyatira back when it existed in Asia, there are Christians who are like the member of the church of Thyatira. Christ is among them as Jesus claimed. To make a long story short, we Christians need to understand that we all belong one of the seven churches that I have been speaking about. Long time ago I used to be one of those Christians that used to think, well that “denomination” over there is certainly not Christian. I have changed my tune, and the reason being because of what is written in Revelation 1:12-13 and it reads: 12 And I turned to see the voice that spake with me. And being turned, I saw seven golden candlesticks; 13 And in the midst of the seven candlesticks one like unto the Son of man, clothed with a garment down to the foot, and girt about the paps with a golden girdle. Let’s continue our talk about the seven churches. If you have not read the previous posts about the seven churches I will leave you links to each church. Now, each one of the churches go through the tribulation, except one church and its members and that church is the church of Philadelphia. This is recorded in Revelation 3:10 which states: Because thou hast kept the word of my patience, I also will keep thee from the hour of temptation, which shall come upon all the world, to try them that dwell upon the earth. My belief starts here → This is the reason I said that we need to prepare ourselves because we Christians are going to be going through all seven years of the tribulation. One reason I say I believe this is because, why would Jesus Christ tell us about all of these amazing/scary things that are going to happen if we are not here for it? That is just one reason, I haven’t even mentioned any of the Biblical evidence. I am working on getting a post ready about the rapture, according to the Bible ← my belief stops here. Okay, back to the seven churches. In Revelation 1:19 it states: Write the things which thou hast seen, and the things which are, and the things which shall be hereafter. In this verse John is being told that he has to write the things which he has seen, and things that are (currently), and the things that will take place in the future. My belief starts here → All of the seven churches are Christian, because as we have seen Christ walks in the midst of them. Regardless of their deeds. Each church is told that they will only be rewarded if they overcome. I say that all of Christians belong to one of these seven churches because the church of Ephesus is told that they must get back to their first love. How many Christians do you know that have left Christianity because they just stopped believing in Christ for one reason or another? ← My belief stops here. In revelation 2:10 it states: Fear none of those things which thou shalt suffer: behold, the devil shall cast some of you into prison, that ye may be tried; and ye shall have tribulation ten days: be thou faithful unto death, and I will give thee a crown of life. So, from the church of Smyrna Christians are going to be thrown into prison. This is corroborated by what is written in Luke 21:12 and it states: But before all these, they shall lay their hands on you, and persecute you, delivering you up to the synagogues, and into prisons, being brought before kings and rulers for my name’s sake. My belief starts here → Just like the Christians of the church of Smyrna got thrown in prison and were persecuted and killed for the name of Christ. Jesus warns us in Luke that the same thing will happen to Christians again in the time of the tribulation. And, I believe that the people, which are going to be thrown in prison will belong to the church of Smyrna. ← My belief stops here. Why are the seven churches important for our life? How are the seven churches important for our life? Why, should we as Christians be concerned about the seven churches? If you read through this post, you will understand why and how the seven churches are important for us? A key verse for the study of the seven churches is Revelation 1:19 which states: And in the midst of the seven candlesticks one like unto the Son of man, clothed with a garment down to the foot, and girt about the paps with a golden girdle. This verse is saying that Jesus Christ is in the midst of all of the churches. This verse does not say that Jesus Christ is only with the church of Philadelphia. In Revelation 1:20 Jesus states: The mystery of the seven stars which thou sawest in my right hand, and the seven golden candlesticks. The seven stars are the angels of the seven churches: and the seven candlesticks which thou sawest are the seven churches. So, we know that Jesus Christ is in the midst of all seven churches. The first question is why are the seven churches important for us? My belief starts here → these churches are important for our life today because many of the issues that these seven churches faced approximately 1800 years ago are the same issues that Christian churches face today. We need to recognize where we have gone wrong and repent like Christ told the seven churches. For instance, to the church of Ephesus, Jesus said that they need start doing the things that He liked, or else He will destroy their church. There are Christians all over the world, that have all of the good qualities of these seven churches. Then the same or different Christians also have the same bad deeds that these churches had. In the same manner we would have to repent of our sins, if we are to overcome and be rewarded. I can guarantee you this, that all Christians do not belong to the church of Philadelphia ← my belief stops here. I will speak about why all Christians are not part of the church of Philadelphia a little later in the post.